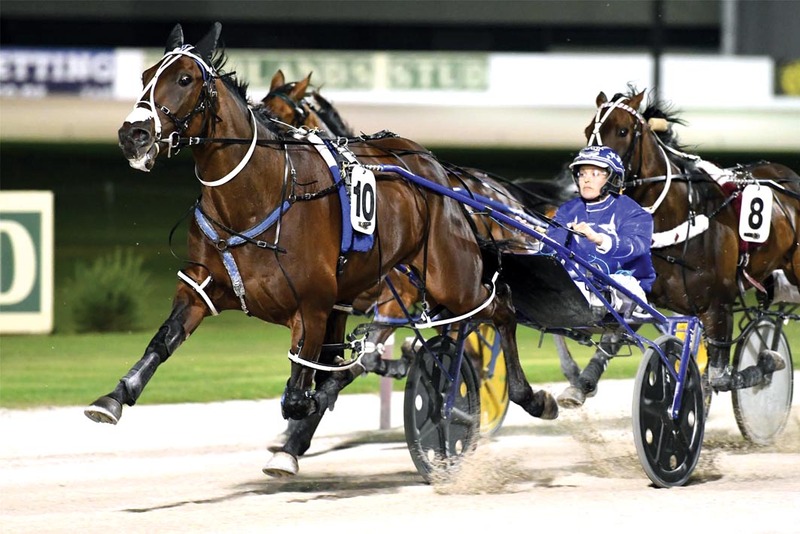 TALENTED pacer Heaven Rocks is primed to continue his climb to the top when he heads to Addington tonight. Engaged in the Canterbury Classic, Heaven Rocks will enter the $50,000 feature following two impressive trials. Not only has the Australian Pacing Gold graduate pleased co-trainers Mark Purdon and Natalie Rasmussen with his progress, the power couple believe Heaven Rocks can claim the mantle as the stable’s headline act from Lazarus! Heaven Rocks’ trials include a tough win over Lazarus a fortnight ago, with Purdon stating the former’s wayward manner appears to be a thing of the past. As for their pending clash, Purdon has given an indication of the likely outcome by stating Heaven Rocks has a fitness edge over Lazarus. The five-runner field also includes stablemates Have Faith In Me and Dream About Me. “At this stage of their preparations Heaven Rocks is about two or three lengths ahead of Lazarus,” Purdon said. The Purdon/Rasmussen quartet is being readied for the New Zealand Cup on November 14, with Lazarus the $2.30 favourite, with Heaven Rocks at $2.60.